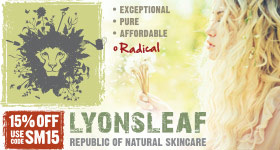 The books below refer specifically to skin, personal and household care. 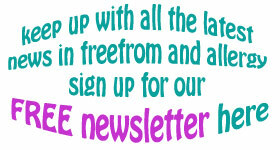 Click here for a much wider range of books dealing with allergy, food allergy and other health conditions covered on the foodsmatter.com site. Whenever a patient comes in with a new case of hives, I ask her to begin keeping a diary of absolutely everything she eats or drinks—every vitamin, herb, fizzy drink, snack, medication, illicit drug, or diet drink. (Why illicit drugs? I once knew someone who traced his hives all the way back to the pesticides used on the marijuana he smoked. You never know.) Then when the hives show up again, we review what she ingested 24 to 48 hours before the attack. Sometimes an obvious source jumps out, but most of the time it takes several cycles to spot a pattern. If after several outbreaks we still can’t find the source of the hives, I’ll refer the patient to an allergist who can perform more extensive testing. The most common hive-inducing food allergens are shellfish, eggs, cheese, nuts, milk, berries, and alcohol, but sometimes hives occur only when certain foods are eaten together. For example, I know a number of people who can eat shellfish alone or alcohol alone, but put the two together—like a shrimp dinner with Champagne—and they’ll wind up in the emergency room. Aspirin, nonsteroidal anti-inflammatories like ibuprofen (Motrin, Advil), and homeopathic or herbal supplements are also common hive triggers, especially if they’re new to your diet. If you have recurrent hives, you’ll also want to avoid foods that contain histamine or that trigger your body to release histamine. The majority of hives aren’t severe enough to require hospitalization. If you get a few small hives here and there that disappear on their own, there’s really no need to seek medical help. If it happens more than a few times a year or lasts longer than a few weeks at a time, though, you should start paying attention. Every exposure to an allergen makes you a little more sensitive, so the next outbreak could be more serious. Start keeping a food diary if you experience an outbreak (ahem, you should be doing this already), and talk to your doctor about your hives at your next regular appointment. 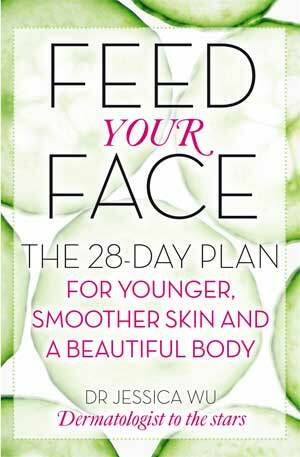 Feed Your Face (£12.99; £6.99 eBook; Little Brown) by Dr Jessica Wu is released on the 5th April 2012. From Amazon. Acne and Rosacea: the complete guide by Alison Bowser. 'The only comprehensive guide to acne and rosacea, with expert advice on treatment options’. A very clear and readable guide, which is sympathetic to the particular problems and embarrassments faced by people who suffer from either condition. 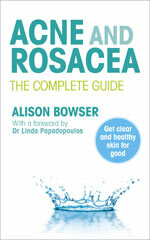 Click here for an extract from the rosacea chapter. Wendy Green has suffered from eczema for some years, and in her guide, '50 things you can do today to manage eczema', she emphasises that eczema is an individual condition: although a specific treatment or management technique might work for one sufferer, it may not work for another. Sufferers must be prepared to look into their own triggers and causes and work to find their own 'cure'. 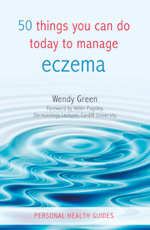 '50 things you can do today to manage eczema' is a very detailed guide. There are also some case studies, and a chapter covering eczema and emotions as well as some complementary therapies, with the final pages including useful products and a directory of books and organisations. This small book, handy to carry around, will be very useful for anyone who has been recently diagnosed, especially parents of children with eczema. This book, published in partnership with the Royal Society of Medicine, provides detailed, useful and up-to-date information on eczema. The book is not only informative and practical, it is the most reader-friendly we have come across. 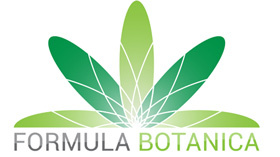 A compact handbook in the BMA Family Doctor series, covering symptoms, tests and treatments. Brilliantly clear. The author’s own amazing story of how she conquered extreme body-covering eczema which attacked her in her fifties. Moving and informative for anyone needing to understand how to manage an elimination diet, plus insight into the many different approaches she tried or investigated. This is a second edition, updated with special contributions on immunotherapy by Prof. Anthony Frew and Dr John Mansfield. For anyone concerned about the man-made chemicals, residues of which are to be found from the polar ice caps to the depths of the oceans - not to mention in our own kitchens, living rooms, cleaning cupboard and make-up boxes - this is a must-have book. Written by Elizabeth Salter Green of the WWF and freelance writer Karen Ashton it itemises the worst toxic chemicals, where they are to be found, who are most likely to be most sensitive (babies, born and unborn) and how to reduce exposure. chemical additives from ‘bad’ ones. It also has a useful glossary and ‘conversion chart’. An excellent buy for £5.99. Really excellent little book for any one even slightly chemically sensitive. Instead of the cocktail of often lethal chemicals with which many of us clean our homes Angela Martin suggests a return to baking soda, borax, cream of tartar, glycerin, lemons, vinegar and washing soda - all of which will make an excellent job of cleaning your home but none of which are likely to affect your health. After a brief history of our current chemical addiction, she ‘cleans’ her way around your house with recipes for natural cleaners and instructions as to how to use them. The second part of the book is an A-Z of stains - and how to remove them! An indepth investigation into how the chemicals in our environment are crippling our immune systems - by both over-activating and suppressing its activities. Over-activation causes super-sensitivity and tissue inflammation; suppression leaves us vulnerable to infection and both chronic and acute long term conditions. An excellent book not just for anyone with a chronic health problem but for those who do not want to get one! An alarming book which describes in graphic detail, the harm that soaps, shampoos, body and home care products can do us all - and the truly unnerving ingredients that they contain. Its 200 pages give chapter and verse on the toxic chemicals to be found in personal & home care products, the poor to non existent labelling, the lack of safety checks and data, the health and environmental hazards - and non toxic alternatives. A deeply alarming book, in its broader perspective - but comfortingly re-assuring if you are prepared to follow Pat Thomas' precepts and swop your expensive moisturiser for jojoba oil or your toilet duck for baking soda and vinegar.